Late last year we put out the call for nominations for our 2018 Good Neighbour. We had some favourites like Alec and Betty Moorhouse – definitely beloved by their neighbours, and Kirsten Engel and Areina Bartok who quickly leapt into action to support numerous families affected by last June’s fire. This year one name stood out for her consistent and varied support for Lynn Valley, North Vancouver and beyond: Linda Munro. There are some people who just quietly make Lynn Valley a community. Linda Munro is someone who has dedicated herself to countless selfless acts to make this neighbourhood a better place to be. She doesn’t choose the flashy – she just gives and gives of her self and time. From years as president and other leadership roles at the Lynn Valley Parent Participation Preschool to this year’s Ross Road Elementary PAC co-chair she consistently invests in improving education for children. 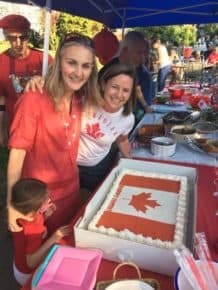 For her Kilmarnock Crescent Neighbourhood she is the founder and driving force behind their Canada Day neighbourhood block party that year after year unifies the street and surrounding area. Often it is the only time some neighbours feel comfortable reaching out and connecting with others. For her community she is a leader and key supporter for years in the Sparks/Brownie/Girl Guides of Lynn Valley where this year she acts as treasurer. Linda has just wrapped up supporting the District of North Vancouver as a whole by serving her second term on the board of the Public Library. As such she helps guide its operations and outreach. Some may be familiar with Linda’s face as it often graces the pages of local media every fall as she promotes the Strachan Hartley Legacy Foundation Run. The annual event raises money to support and encourage at-risk youth to focus on sport. Her whole family is involved in the foundation and Linda often takes on the role to raise its profile. Linda is also the person her friends can count on. She just shows up. If someone is fundraising she contributes, if someone has poor health or a new baby she brings food, she brings energy and time to her church. 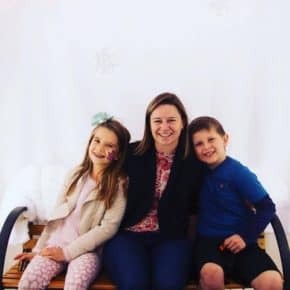 She does all of this as a busy working mom of two, while working on her studies in nonprofit management – furthering her future commitments to our community. Linda is one of the those people that is the glue that holds a community together – how she finds the time and energy is remarkable – and without her we all would have less. We know there are numerous people and groups Linda has supported. Her work with the District of North Vancouver Public Library left quite an impression. Jacqueline van Dyk, director of library services was kind enough to share some thoughts. “Linda Munro joined the North Vancouver District Public Library Board in January of 2015 and served three of her four years as vice chair of the board,” she said. “During her time at NVDPL, Linda also chaired the Library Board’s Advocacy Committee and was instrumental in establishing a program for connecting with key community partners, sharing ideas, and bringing attention to important library issues and events. “A key team-member on the board, she helped set the library’s 2017-2019 strategic priorities, participated actively at library board meetings, co-represented the library at meetings with Council and other local officials, led library tour after library tour, walked in countless Lynn Valley Day parades, signed up local children in the Summer Reading Club program and handed out hundreds of medals, attended fundraisers and special events, and more—and sometimes even with her whole family! She managed all of this in her “spare” time between work, family, and other volunteer activities, and always with a friendly smile! “Linda, thank you for connecting community, sharing knowledge, and inspiring stories during your time on the board. We are grateful to have had your input and expertise during your four years at NVDPL. We will miss you! Thank you Linda for being part of our Lynn Valley. Thank you to Black Bear Neighbourhood Pub for donating a gift certificate for Linda to enjoy.